We are a team of passionate Speech Pathologists who all have many years of experience in paediatrics. Our experienced therapists are all working independently, sharing resources, knowledge, support and skills. We are all here because we care about your kids and you. Betty graduated at Latrobe University, and has also completed further studies in psychodrama, family therapy and paediatric feeding. Due to long waitlists for speech pathology services in the public service, Betty began Northern Speech Pathology in 2000. In 2015 Melbourne Kids Developmental Services was formed. This consortium now encompasses allied health professionals who are equally passionate about helping families flourish. Betty is a certified practising member of Speech Pathology Australia who has over 25 years’ experience in working with children aged 0-12 with a variety of speech, language, play, social, literacy and feeding difficulties. Betty believes children are wired to connect with people, not machines or programs! She invites you to come move, play, learn, sing and laugh with her in therapy sessions. Pippa graduated from LaTrobe University in 1993, and have been practising for 17years. She started within the public sector (Specialist Children’s Services, Dept of human services) on a multidisciplinary team, before moving into private practice. 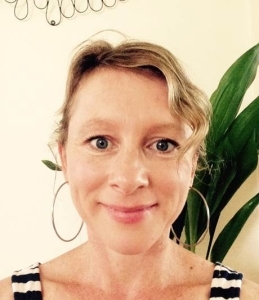 Pippa worked in the United States of America in the 90s and is a member of Speech Pathology Australia. She is trained in Hanen, Floor-time, Key word signing, Cued articulation, Talking Mats and Mother Goose. Pippa enjoys working with children and being entertained by their individual behaviours and characteristics. She likes to use humour and fun within the clinical setting to teach both the parents and child. Sessions are practical and provide functional strategies for the home setting, given the time-constraints of most parents. The session will always end with a prize (usually a stamp) and a chat with the parents. 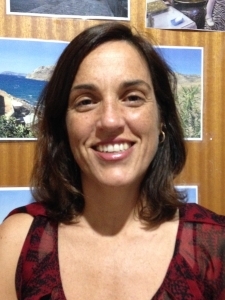 Renata graduated from the University of Sydney and has over 20 years experience as a Speech Pathologist in Australia and the United Kingdom. She currently works part time for Victoria Paediatric Rehabilitation Service as well as being a mother herself. Renata enjoys seeing children between the ages of 0-12 years and believes therapy is more effective when it is in partnership with parents and other professionals. Since graduating from the University of Queensland, Katrina has 20 years experience working with preschool and school-aged children on a range of speech and language difficulties. A Certified Practising Member of Speech Pathology Australia, Katrina’s approach to building your child’s confidence is practical and evidence-based. Her priority is to ensure that your child is comfortable in our clinic and she takes the time to understand your concerns and your child’s abilities within the family context. Speech sound disorders and language and literacy difficulties are among her particular areas of interest. Katrina is available on Wednesday and Thursday. Georgia graduated from La Trobe University and is a Certified Practising member of Speech Pathology Australia. She has 24 years of clinical experience working with children with speech sound and language difficulties, fluency, literacy, social skills and developmental disorders. She is highly skilled in working with children aged 0-6 years of age and values working together in a team that includes the child, their family and other professionals from multiple disciplines to achieve the best possible outcome. Georgia is trained in Hanen ‘It Takes Two to Talk’ and ‘Target Word’ programs, Family Partnership model, PROMPT, Key Word Signs and Lidcombe Program of Early Stuttering Intervention. Georgia aims to make appointments fun, provide information and practical strategies to empower families to support their child in achieving their goals. Phonological Awareness and Literacy (Sounds Write). Nicole is a caring and compassionate speech pathologist who is dedicated to empowering her clients, their family and support team with the knowledge and skills to support successful and positive communication experiences. Therapy is customised to the needs and abilities of each client and family. She has worked in community health, primary and secondary schools, community outreach and private practice. She is an active member of the Speech Pathology Special Interest Groups for Stuttering, Autism, Language and Learning Difficulties and Speech Pathologists in Deaf Education. 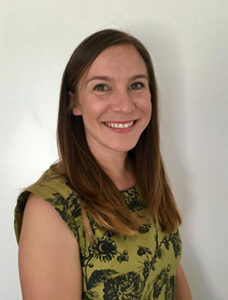 Alana graduated from Latrobe University as a Speech Pathologist, and also has a Masters of Health Science in Developmental Disability from Sydney University. She has worked extensively with children in early years (0-6), school-aged children and with adults specifically with social skills needs. 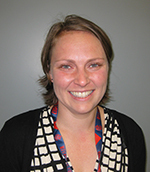 Alana has worked in Australia and overseas in private practice and in multidisciplinary non- government agencies and in senior clinical roles within government services, and specialised settings for individuals with Autism Spectrum Disorders. 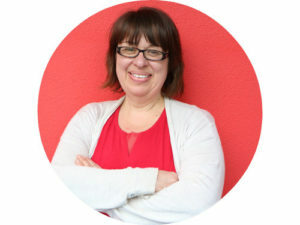 Alana has experience and qualifications in a range of techniques and approaches including keyword sign, Picture Exchange Communication system, positive behavioural support, paediatric mealtimes and a range of low and high tech augmentative and alternative communication approaches. 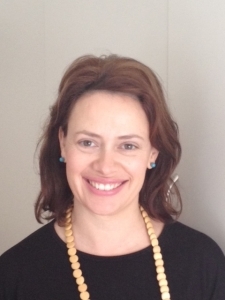 Alana is a certified practising member of Speech Pathology Australia who has 18 years of experience in working with children and adults with a variety of speech, language, social, literacy, and mealtime needs. Alana believes that therapy should be enjoyable and person-centred and that working with families to tap into an individual’s motivations and strengths is key to helping them meet their goals and fulfil their potential. 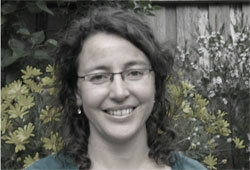 Jayne Dixon graduated from the University of Manchester, UK in 2000 and has since practiced in the UK and New Zealand before settling in Melbourne in 2009. Jayne initially worked in early intervention and community health settings before moving into private practice and school based work. Jayne has specialist experience as part of a multidisciplinary Autism assessment team and is a registered provider of services under the FaHCSIA Helping Children with Autism and Better Start packages. Jayne’s particular areas of interest include early language and literacy, and working with school aged children. 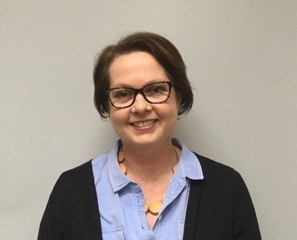 A certified practising member of Speech Pathology Australia, Jayne has also completed training in courses including PROMPT therapy, Hanen It Takes Two to Talk, Lidcombe therapy for stuttering, Lemphonics and PECS. Jayne enjoys building a strong rapport with both her students and their families, and enjoys working with students in the context of their home, childcare and school environments. Jayne likes to make therapy fun and engaging and loves to see a student’s motivation build as they experience success. Alice de Groot graduated from Curtin University of Technology, Western Australia and has been a Certified Practising Member of Speech Pathology Australia for nearly 15 years. She is highly skilled in early intervention (0-6 years) and has experience working with preschool and school-aged children on a range of speech and language difficulties, particularly in the areas of speech sound disorders, language and social skills difficulties. Alice is trained in Hanen ‘It Takes Two to Talk’ program, PROMPT, BLADES, Play Skills, Cued Articulation and Key Word Signing. She has also completed training in the Autism Diagnostic Observation Schedule (ADOS-2) and has experience working in multidisciplinary assessment teams. Alice is caring and creative, and enjoys coaching others to develop new skills. She also understands the demands of balancing therapy, work and parenting. 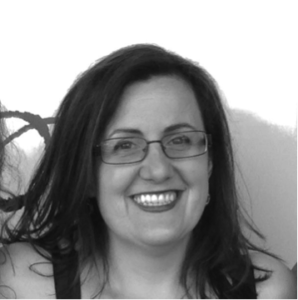 Alison graduated as a Speech Pathologist from La Trobe University in 1999. Prior to speech pathology, she worked as a Registered Nurse. Alison has extensive experience providing speech pathology services to children in clinic, community and school settings. She has worked privately since 2005. Alison is a warm, creative and family centred therapist who enjoys working with a range of speech and language difficulties including autism, speech/language delays, phonological disorders and literacy. When working with children with autism, she includes Social Thinking and Floortime (DIR) approaches in her therapy. Alison highly values community consultation and liaises regularly with kindergartens, schools, and medical / allied health professionals. She is a Certified Practising Speech Pathologist. Monique has a special interest in stuttering assessment and therapy. She is currently on sabbatical but is available to provide services via Skype. Monique is dedicated to providing person-centered, evidence-based services to people of all ages. 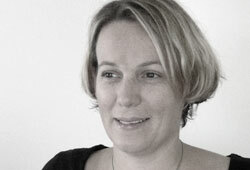 She has experience in both Australia and New Zealand, across a variety of public and private settings. 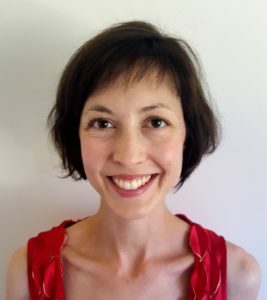 Monique is formally trained in a range of evidence-based stuttering treatments including: the “Lidcombe Program of Early Stuttering Intervention”, “RESTART DCM” and the “Camperdown Program”. She has also undertaken other professional development specific to stuttering, including: the consideration of stuttering and anxiety, stuttering management in school-aged children, and timing of early stuttering intervention. Monique graduated with a Masters of Speech Pathology from La Trobe university and was awarded the Victorian Speak Easy Association student award for academic and clinical excellence in stuttering. She is a member of the Golden Key Honours Society for academic excellence, and is a Certified Practising Member of Speech Pathology Australia. Monique is also an active member of the Victorian Stuttering Special Interest Group, she mentors other qualified speech pathologist in the area of stuttering practice, and at times works casually at the specialised stuttering clinics at La Trobe University both as a speech pathologist and as a clinical educator of speech pathology students. Monique was also part of a working party that formulated clinical practice guidelines in the area of stuttering on behalf of Speech Pathology Australia, and she has also worked briefly as a research assistant in the area of stuttering.